Back in 1999, the online health-information publisher united with another fledgling rival in a deal backed by Microsoft and Intel. KKR is now buying WebMD for $2.8 bln, far less than the earlier stock-swap valuation. This fresh merger with other websites may work out better. 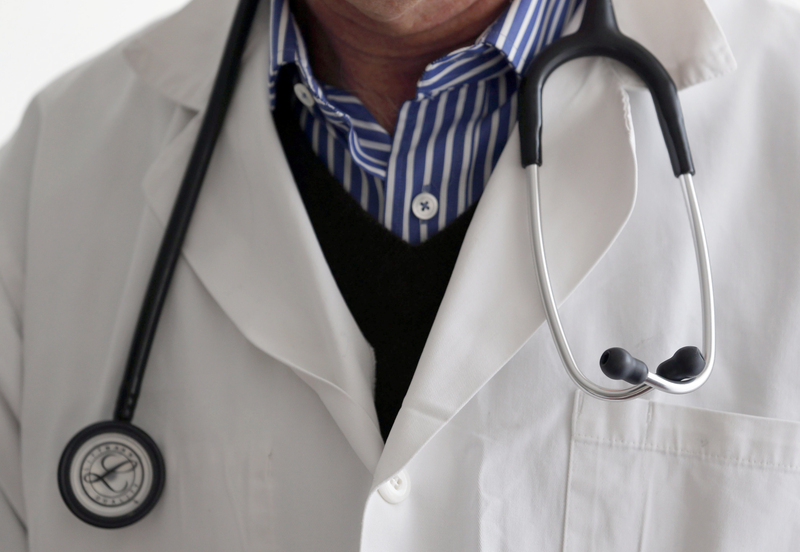 A photo illustration shows a French general practitioner with a stethoscope in a doctor's office in Bordeaux January 7, 2015. Internet Brands, a group of consumer websites owned by private-equity firm KKR, said on July 24 it agreed to buy health-information website WebMD in a deal valued at $2.8 billion. Under terms of the deal, Internet Brands will pay $66.50 a share in cash to WebMD shareholders. The deal represents a 30 percent premium to WebMD’s share price on Feb. 15, the day before it announced a sale process. The price is 20 percent higher than WebMD’s closing share price on July 21. The company said separately on July 24 it expects second-quarter revenue to be approximately $176 million, up 5 percent from a year ago. Earlier guidance had been in the range of $170 million to $173 million.